Discovering new beers is perhaps the most exciting thing you can do as a beer nerd. Tired of supermarket beer and desiring a more hands on experience instead of clicking away on one of the many online suppliers; Karl and I planned a day out to find new bottled beers in four of East Anglia’s best beer shops. A beer harvest. The term beer harvest does seem a strange term I know. But being from a rural area as we are it seemed to fit. ‘Labouring’ from one place to another and coming home with a grain based product seemed to match right? It was one of Karl’s frequent moments of linguistic genius (my personal favourite is his description of caravans as Perspex dungeons). Karl and I are based in the Waveney valley of North East Suffolk. We planned a circular route beginning with heading to west Suffolk to the lovely Bury St Edmunds – the home of Beautiful Beers. 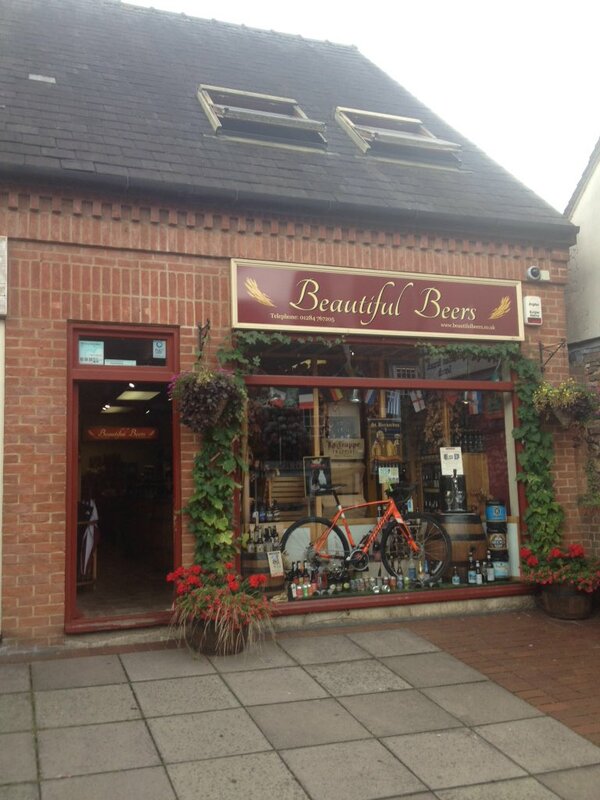 Located on part of the pedestrianised high street; Beautiful Beers is indeed a beautiful shop. It’s bright and all beers are arranged by nationality. It is well laid out and easy to navigate. 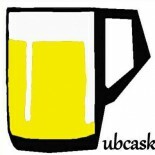 Beautiful Beers’ main specialism is Belgian Beer and they have a very strong and diverse collection of Belgian Brews. Their range of American beer is also very good with many of America’s finest breweries on display. They have also a dedicated East Anglian section which seems to always be up to date and promoting a new brewery. If you live locally in Bury; you can also take advantage of takeaway keg beers. They had three available when we attended. We left Beautiful Beers with a lot of beer; but also envious that such a shop doesn’t exist nearer to our home! So returning to the car we headed towards Kings Lynn for the beer supermarket that is Beers of Europe. Located on an industrial estate on the outskirts of Kings Lynn; Beers of Europe is simply incredible. It has three colossal aisles dedicated to beer. So we grabbed a trolley and meticulously surveyed every aisle for beer. Having recently read Joshua Bernstein’s excellent book about world beer I was keen to expand my knowledge of German beer and came prepared with a list of things to try. I was fortunate to find most of the beers I desired to try in store. The range is simply huge especially with regards to international brews. They also have a reduced to clear section where there is always a bargain to find. Related to this, it must also be said that their pricing is very reasonable. Everything in store is fairly priced – you don’t feel as though you are paying over the odds for anything. After a friendly chat at the till we left satisfied with another successful visit to Beers of Europe. We then headed towards the North Norfolk coast to visit Branthill Farm and the Real Ale Shop. The shop is located close to Wells-Next-the-Sea and is long established as a place for locally brewed bottle conditioned beer. This was my third time visiting this shop and it must be said that their range seemed smaller than it has in recent years. There didn’t seem to be as many breweries showcasing their beer as in previous times. Nonetheless I picked up two beers I have yet to sample which excite me. A triple hopped beer from Woodfordes and an IPA from Poppyland. This was our shortest stop of the day. After this we headed to Brewdog Norwich to visit their Bottledog. Before we entered the Bottle shop, we did have a quick half of Brewdog’s new beer (Real Ale for Modernists apparently) Live Dead Pony Club. It was okay. Bottledog has a range of high profile beers. They have a section dedicated to beers which should be aged. On the whole a lot of the offerings were quite pricey but it is unquestionable that many quality brews were on show. We received some excellent customer service here – being spoken through the new Double IPA’s from Cloudwater (We’re planning a blog on these shortly). This resulted in us buying these alongside two offerings from U.S. brewer Stone Brewing Co.
Yep – It was a great day! We then lit the barbecue with a few other friends and sampled some of our beers. Check out our Twitter feed for reviews! So in conclusion, all four of these shops are worth visiting. In a way all of them have their unique specialism. Beautiful Beers do Belgian beer really well, The Real Ale Shop do traditional bottle conditioned beer well, Brewdog appeal to the craft scene and Beers of Europe sort of do a combination of all these with an added focus on German beer. If you want to ask any questions about our Beer Harvest or would like a copy of our route please don’t hesitate to email me! Last year’s Beer Harvest Blog can found here. This entry was posted on August 4, 2016 by Chris Stone in Beer Shops, Beers, Breweries, Days Out and tagged ale, Beer, Beer Shops, Beers, Belgian Beer, Bottled Beer, bottled beers, cheap beers, Craft Beer, Norwich, Real Ale, real ales, Suffolk.